The Brisbane Hand and Upper Limb Clinic was established in 1995. The Clinic consists of eleven experienced Hand and Upper Limb Surgeons. It is one of the largest private clinics dedicated to the management of hand and upper limb disorders and injuries in the southern hemisphere. Our Surgeons are able to provide you with advice and interventions for simple through to the most complex hand and upper limb conditions and injuries. They use the most up-to-date evidence and research to support their diagnoses and provide you with appropriate recommendations and management. The Brisbane Hand and Upper Limb Clinic (BHULC) specialist surgeons are all Australian-trained and have received their qualifications throught the Royal Australasian College of Surgeons, as well as either the Australian Orthopaedic Association or the Australian Society of Plastic Surgeons. In addition, all the specialist doctors of the BHULC have completed further advanced training in Australia and overseas. 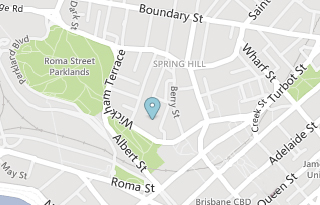 The BHULC is based on Level 9, Brisbane Private Hospital Specialist Centre, 259 Wickham Terrace, Brisbane. Our specialist surgeons are leaders in hand and upper limb research, diagnosis, treatment and surgery of all shoulder, elbow, wrist and hand disorders and injuries, including microsurgery, arthroscopy, joint replacement and reconstructive surgery. Their work is recognised on local, national and international arenas. Surgeons work closely with occupational therapists and physiotherapists who specialise in rehabilitation to ensure excellent communication and timely management of patient care and rehabilitation. Find answers to questions that are commonly asked.